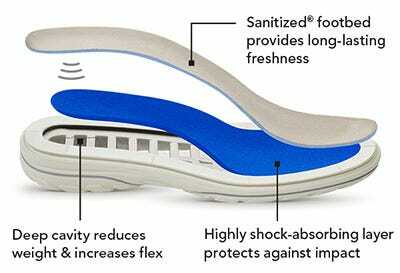 Our Cushion Active™ Underfoot Comfort System is made up of a highly shock-absorbing footbed which retains its shock-absorption over time. This spongy, cushioning footbed sits in a deep cavity, which reduces weight and increases flexibility, while the lightweight sole moves with your foot for maximum comfort. As it helps prevent damaging impact to joints, it’s ideal for conditions such as arthritis. 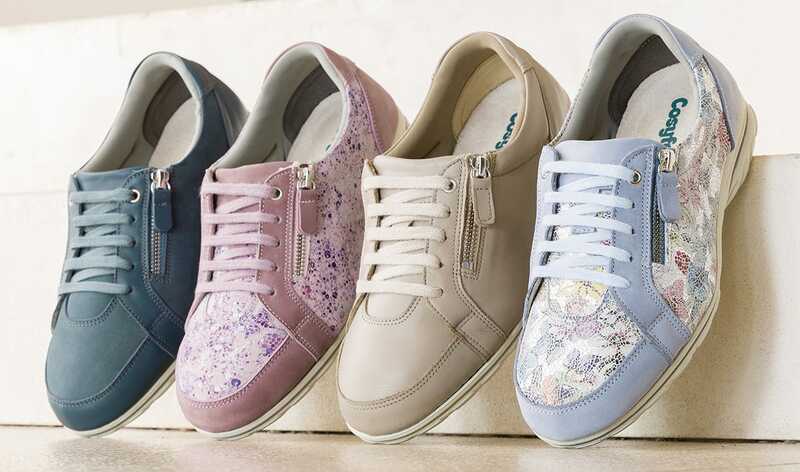 Our Mambo style for women contains our Cushion Active™ Underfoot Comfort System. Click here to view Mambo.